"Nothing special," said White House spokesman Robert Gibbs when asked what President Obama is doing today to mark the end of his 1st year in office and the start of his 2nd. To hear Gibbs tell it, no one at the White House is much interested in noting the one year milestone. "It's an anniversary of types, but I don't see that a lot of people are ultimately focused on marking the first year," said Gibbs at yesterday's daily press briefing. He said the White House already had its fill of calendar anniversaries: the first 100 days; 200 days, six months; a year after the election. It's just a date on the calendar "that denotes you've been here a year," Gibbs said of the occasion. But it is a milestone, the most important so far on Mr. Obama's watch and a natural moment for taking stock – or in the case of this report: number crunching. So quickly – before year-in-review fatigue sets in, see if any of these numbers and annotations offer insight into how the president spent his first year. • Includes 52 addresses or statements specifically on his health care proposals. • Nearly all of the other press availabilities were joint appearances with foreign leaders at which as few as 1 question was taken by Mr. Obama. 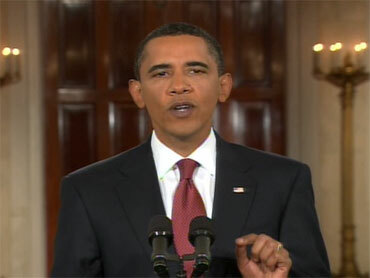 • Predecessor George W. Bush did 21 news conferences his first year of which 4 were formal, solo White House sessions. Only 1 was in prime time. • This is a striking number of interviews and far more than any of his recent predecessors in their first year. Ninety of the sessions were TV interviews. Eleven were radio. The rest were newspaper and magazine. The number reflects the White House media strategy that Mr. Obama can best respond to questions in an interview setting. • Most frequently visited state by Mr. Obama: New York* (excluding Maryland & Virginia, which border DC and to which visits are more local than out-of-town). • President George W. Bush made appearances in 39 states during his 1st year. • President Clinton visited 22 states in 1993, his first year. FOREIGN TRAVEL: 10 foreign trips to 21 nations (4 of them twice). 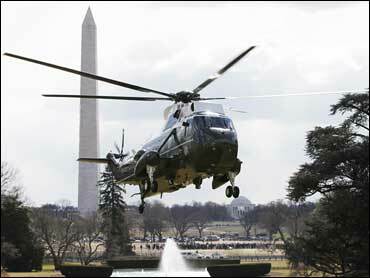 • Mr. Obama made more trips abroad in his first year than has any other U.S. President. • Next most frequent foreign traveler during first year in office was President George H.W. Bush: 7 trips to 14 countries. • The events raised at least $27.25 million. (3 of the events Mr. Obama attended declined to disclose how much was raised. • George W. Bush did 6 fundraisers his 1st year raising over $48 million. • The rallies were for Gov. Jon Corzine, D-N.J., gubernatorial candidate Creigh Deeds, D-Va, and U.S. Senate Candidate Martha Coakley, D-Mass. All of them lost. BILL SIGNINGS: 124 of which Mr. Obama did 13 bill-signing ceremonies. VISITS TO CAMP DAVID: 11 visits totaling all or part of 27 days. • Mr. Obama's only veto to date killed a bill to keep Defense Dept operating in case Appropriations measure wasn't passed, which eventually it was. • George W. Bush – 0 vetoes in first year. In fact, he didn't cast his first veto until his 5th year in office. * Not counting 2 turkeys he pardoned at Thanksgiving. • George W. Bush granted no executive clemency his first year either, except for turkeys. • George W. Bush spent 69 days at his Texas ranch over 9 trips to his ranch his 1st year. • Most frequent courses: Fort Belvoir 11 times; Andrews AFB: 8 times. 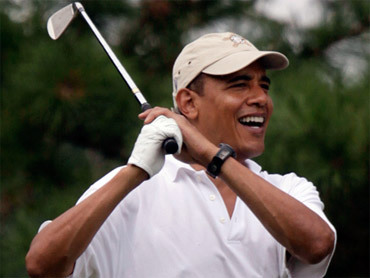 • George W. Bush played golf 7 times his first year. OUT OF THE PUBLIC EYE: 21 days on which Mr. Obama did not have a public or press appearance. WHAT PRESIDENT OBAMA LEARNED IN HIS 1ST YEAR? Spokesman Robert Gibbs said yesterday that "change is never easy; that change takes time; that change has to go through Congress." 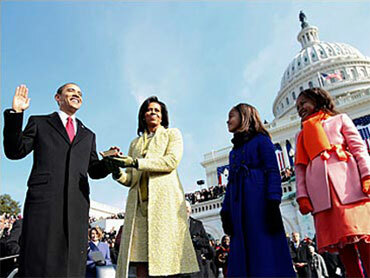 Jeff Greenfield: Obama's Decline in Popularity -- What Caused It?